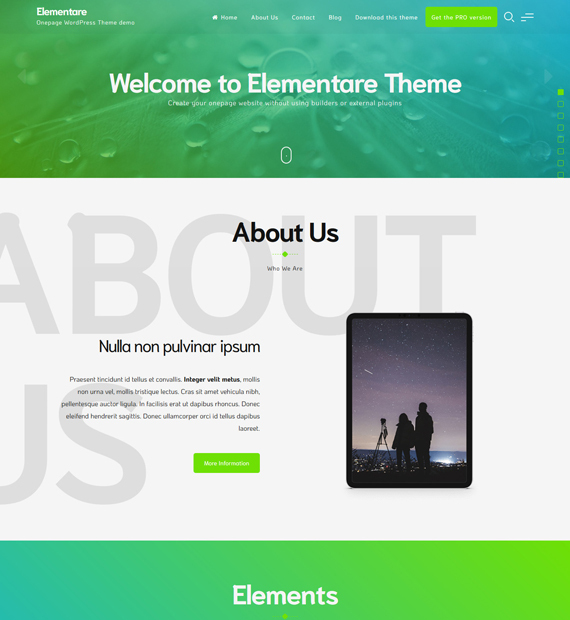 Elementare is a multi-purpose one-page theme for WordPress that comes with everything needed to make a beautiful looking website. This free theme is also WooCommerce compatible making it effective for online stores as well. Not just that, Elementare is also compatible with a number of other popular plugins including WPML, Contact Form 7, Yoast SEO, and even page builders such as Elementor and Beaver Builder. Furthermore, you can prepare an appealing website in no time using the one-click demo importer plugin.